On one of the weekends after I first arrived in Taiwan, my friends and I decided to go check out the popular Rao-He night market. The first thing I noticed when we arrived was a huge temple near the entrance. Temples had interested me long before coming to Taiwan and even after a few weeks of being here I wasn't shy about going in to wander around and appreciate the craftsmanship that went into building them. I decided that the first thing I'd be doing on this little excursion would be exploring the temple before going to the night market. While walking around the temple's second floor I came across a statue acting as what we would normally consider a “knob” on a railing. It amazed me that even a simple railing could have an extremely detailed (and probably very expensive) "knob" like this. The attention to detail amazed me, but the scene behind it with red lanterns and faint light in front got me thinking about (what I thought at the time) might be the perfect composition. All I had with me was a small point and shoot camera, but I knew how to control the settings well enough that I was able to get exactly what I was looking for. When I saw that I was able to achieve a specific result with the composition I wanted and was able to control the light in such a specific way it came to me that I might actually be somewhat skilled at this photography thing. The main facade of the temple. 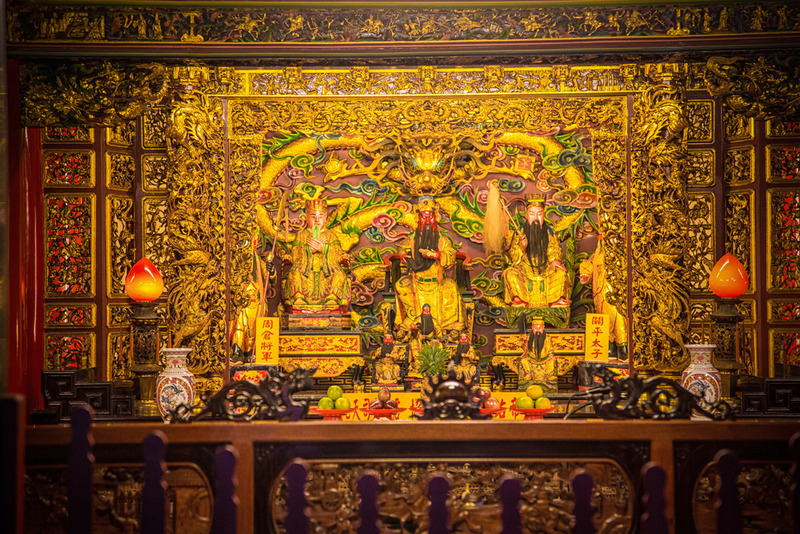 Ciyou Temple (慈祐宮) or the Songshan Mazu Temple (松山媽祖廟) as it is sometimes referred to is one of Taipei’s most important Mazu temples. It was built in 1753 on the banks of the Keelung River and is neighbours with the Rao-He night market (饒河夜市), the beautiful Rainbow Bridge (彩虹橋), Songshan train station and the newly completed Songshan MRT station making it a popular tourist attraction. Legend has it that in the 1740s a Taoist monk was wandering around (what is now the Songshan district) carrying a statue of the Goddess Mazu. 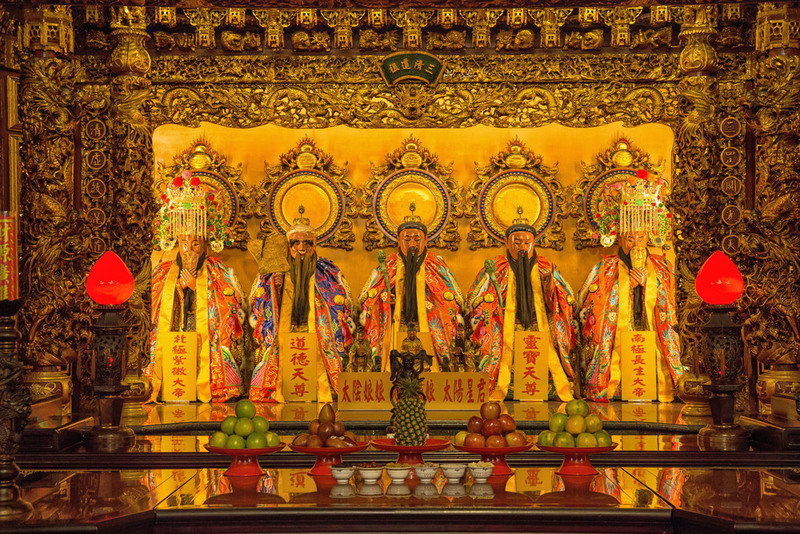 He eventually came upon a group of followers of Mazu and together they spent ten years collecting donations to build a proper place of worship. In 1753 construction started on the temple and it was completed four years later in 1757. 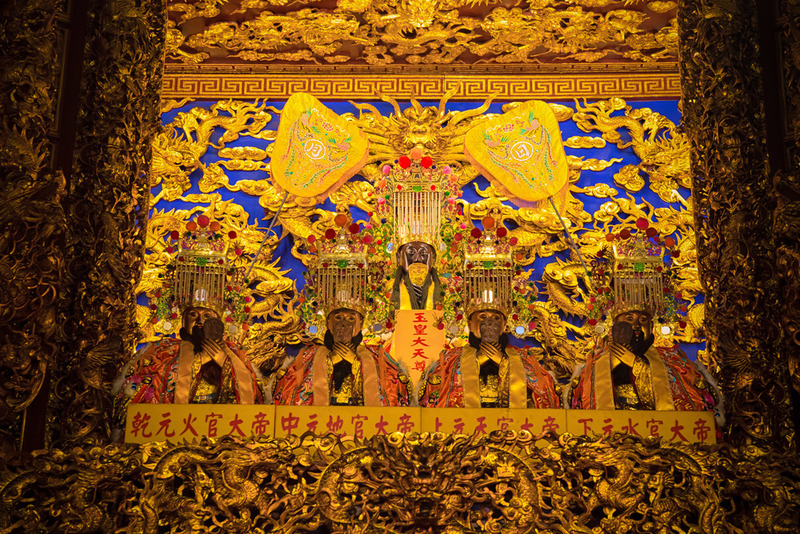 The temple served as an extremely important structure in the early days of development in Songshan in terms of religion and economics and it's safe to say that if the temple had been built elsewhere that the Songshan district we see today would be a much different one. 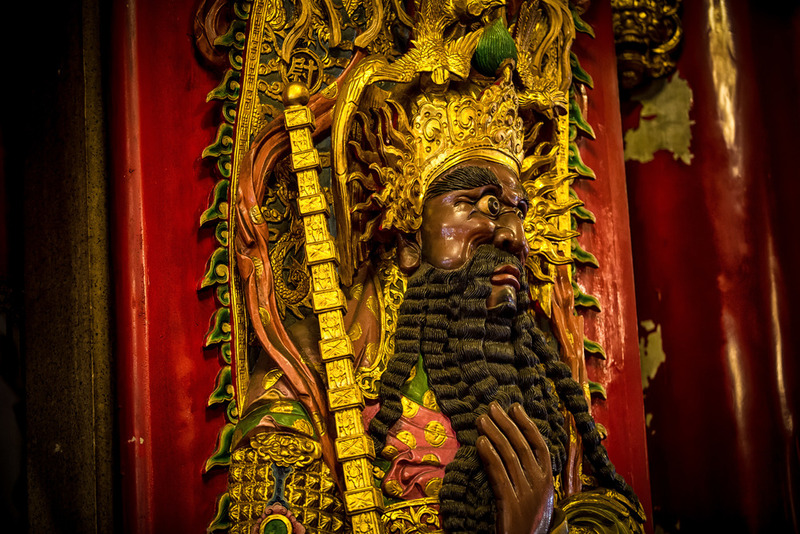 The temple is primarily dedicated to the (dark faced) goddess Mazu (天上聖母) otherwise known as the “Heavenly Mother” and covers an area of over 600 square meters. 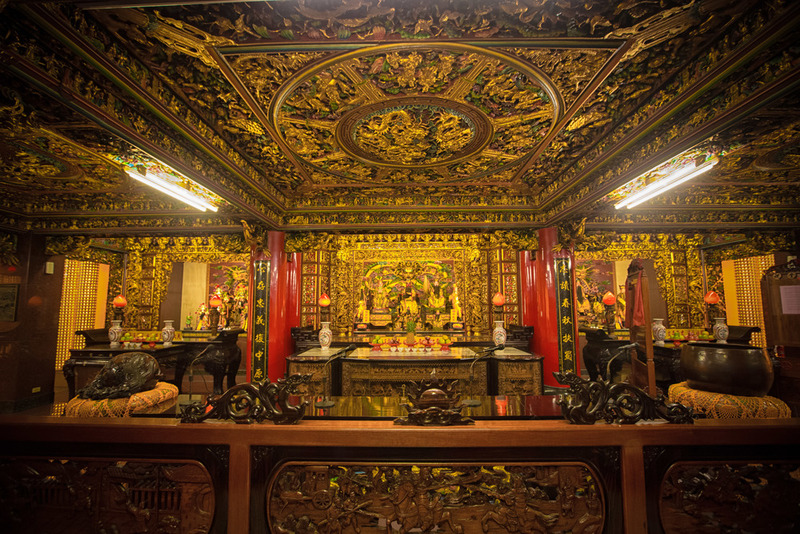 It has six floors of shrines with over a hundred different Taoist and Buddhist deities and also features a well-stocked library of Taoist, Buddhist and Chinese literature. 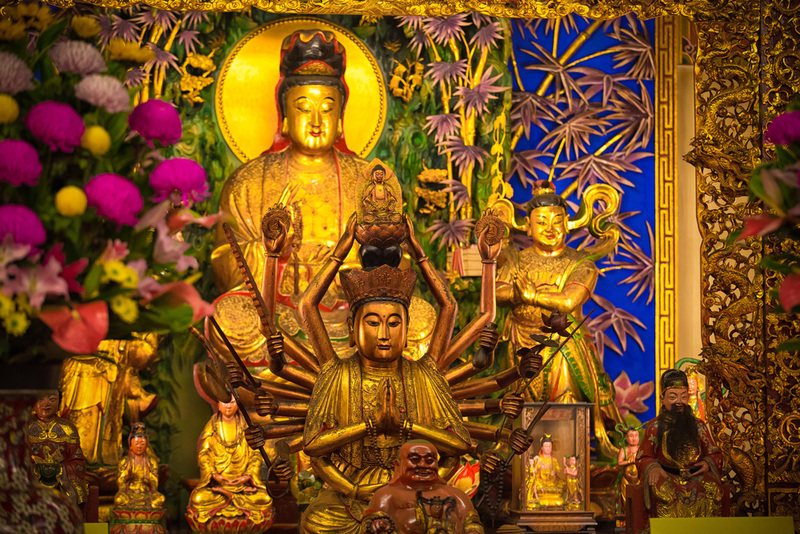 The main shrine room of the temple is quite large and is often full of people praying or performing religious rituals. The front of the Mazu shrine is closed off to the public and even though the statue of Matzu is quite large, it's not easy to see if there is a crowd. 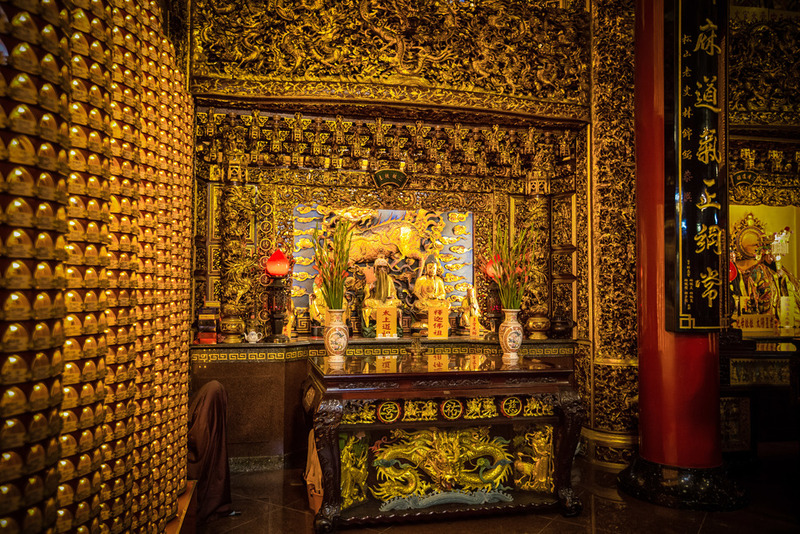 The closed off area of the shrine room is used by designated temple followers who will perform Taoist chanting ceremonies a few times a day and is a pretty cool thing to see if you're a tourist. While the open space on the first floor is quite beautiful, I always prefer to go to the upper floors where there are less people and where you can get a bit closer to the shrines to enjoy the amazing craftsmanship that went into building the temple. 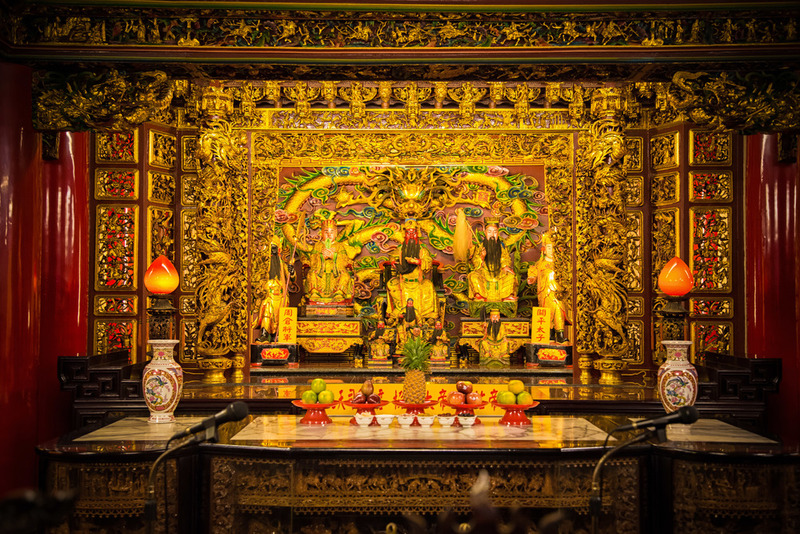 I guarantee when you get to the top floor to the Jade Emperor’s shrine that your jaw will drop and your brain may experience a bit of sensory overload due to the amazing colours and all the small details which went into constructing such a spectacular shrine. 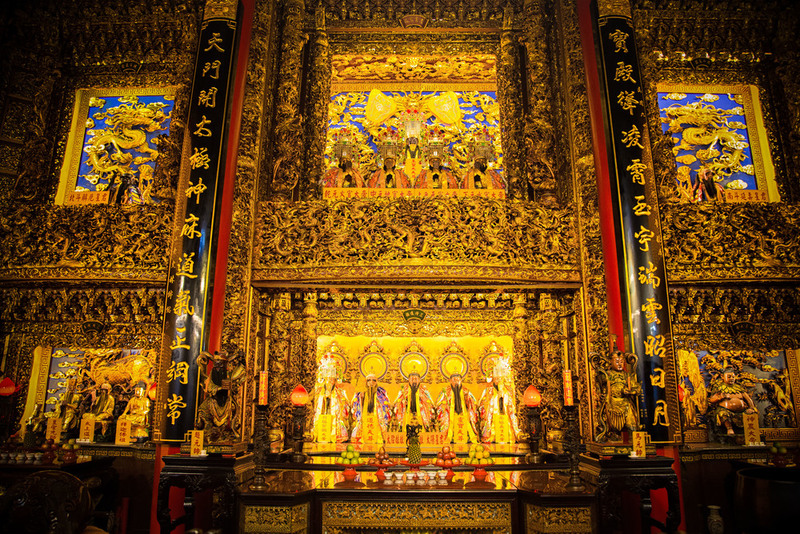 The temple is well known in Taiwan for the intricate design and attention to detail that went into its construction. There is also some amazing stone work, octagonal plafond ceilings and a roof that is so full of detail that it probably deserves a blog post of its own. I spent a few hours translating all the names of the gods and goddesses in the temple. It's not really required reading, but I thought it would be a good idea to provide that information to people as it isn't readily available on the Internet in English. Don't let the amount of gods and goddesses intimidate you and don't worry about strange religious people proselytizing to you. The people who work at the temple are quite helpful and enjoy it when tourists visit so if you're in the area, make sure to stop in and check out the temple. 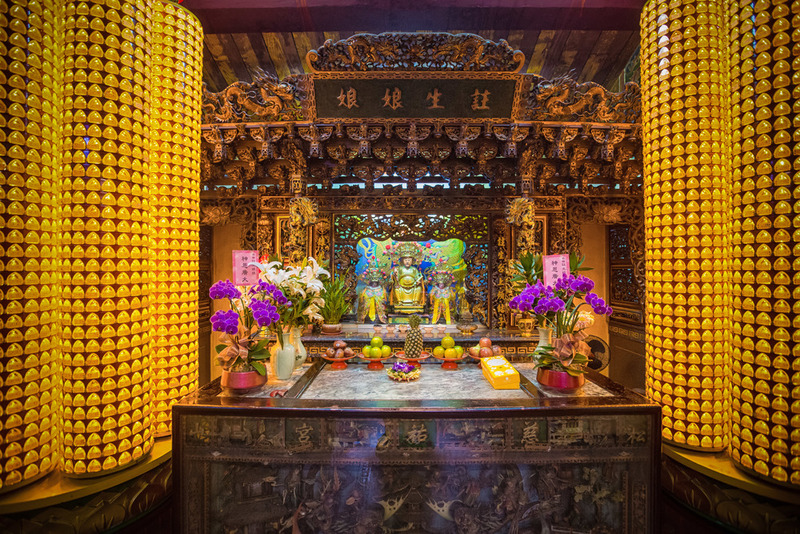 Spend some time taking in the arts and craftsmanship that went into constructing it and make sure to get yourself all the way up to the sixth floor to see one of the most beautiful shrines in all of Taiwan!